 I have tried a lot of products for my skin and for my acne. Some of them improved my skin while some of them only worked for a short time then my skin broke out again. I was going to believe acne and bad skin are two things I have to deal with for the rest of my life. Until I realized that beautification must begin from within. Right where everything should start and end - CLEANSING YOUR SKIN. I was sent this brush called SONICLEAR a few months back. But I was not able to review it right away because, as always, I wanted to use the product first and make sure it works before I recommend it to you guys. The product is called Soniclear by Michael Todd. 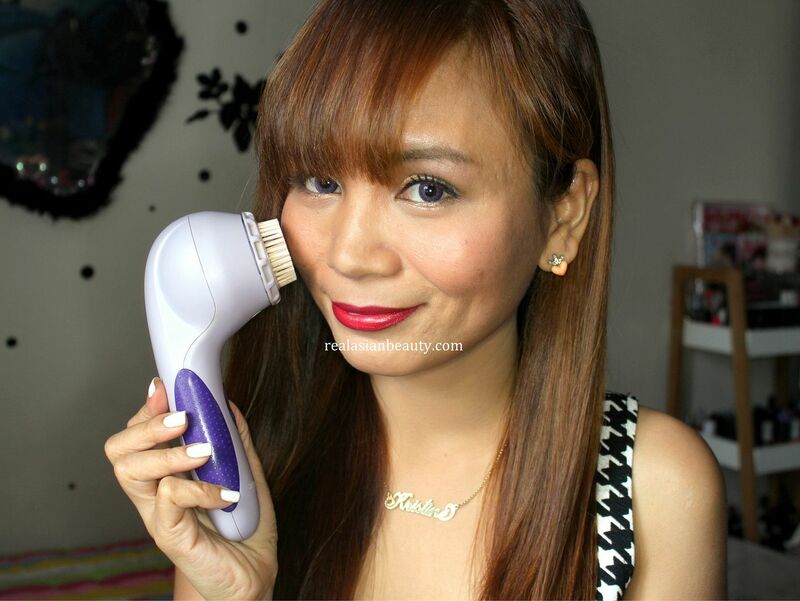 It is a facial cleansing brush that aims to keep skin clean, fresh and dirt and germ-free! 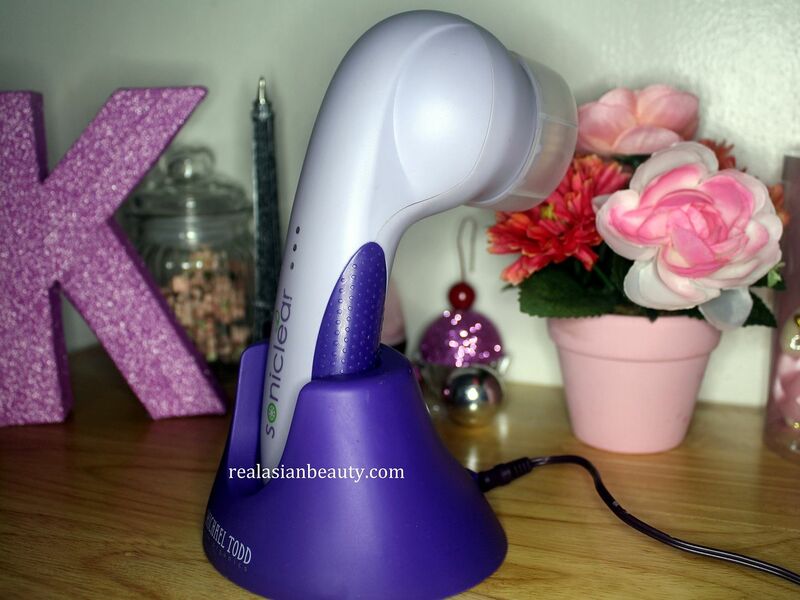 PRICE : The Soniclear cleansing brush sells for $149. The set comes with the brush, charging pod, charger cord/adapter, manual and an extra bigger brush for the body. Here is the video showing how to charge and use your Soniclear brush plus Before and After clips! 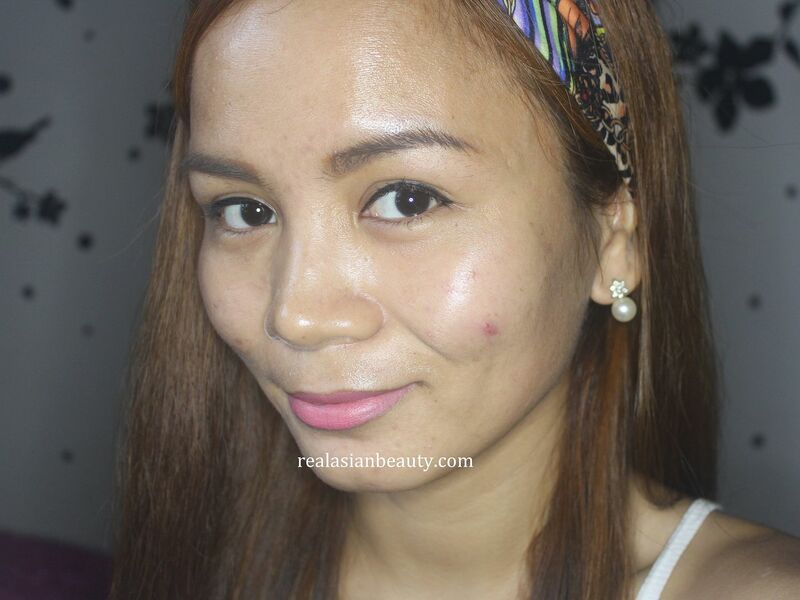 This is my skin after the initial use of the Soniclear brush. As you can see, I have a red mark on the left cheek. My skin doesn't have a lot of pimples but the problem with my skin is that it looks old because of the ice-pick scars and some dry/flaky areas. I also dislike that my skin is super oily. 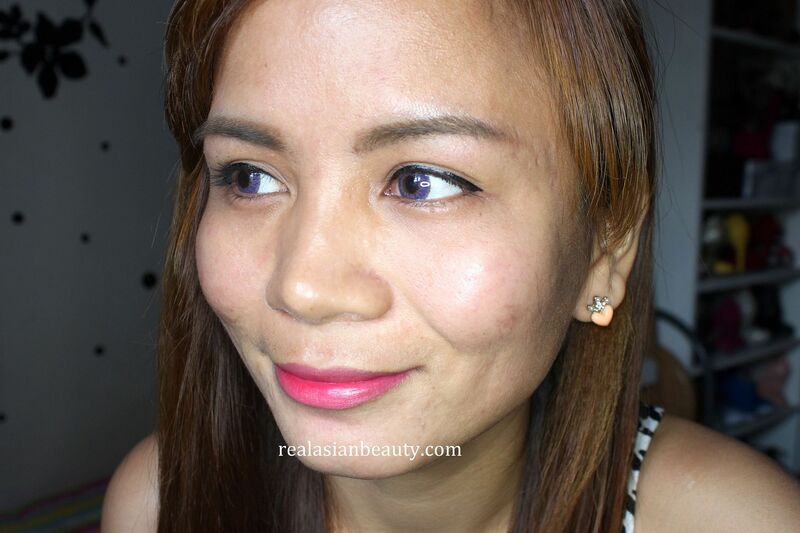 After the first use of Soniclear brush, I noticed that my skin became tighter and has that instant glow! It also looks bit brighter because the deep-seated dirt has been removed by the brush. After more than a month of using the Soniclear, I noticed that my skin became less oily. I also like that it made my skin appear tighter and so much brighter because dirt that my oily skin acquired throughout the day doesn't get left-out on my skin. Overall, this is a nice product to try. If you have extra bucks to spend, I suggest getting this brush. It is always better to have clean skin rather than investing in "beautifying" topical products. The brush is sturdy and lasts for a long time. An overnight charging of the brush will keep it working for over a month, which means you get to save electricity as well. It is safe to use everyday, even with some pimple spots on the face. I really like this brush and I like how it keeps my skin clean and renewed each night! If you are interested in buying your own Soniclear Cleansing Brush, be sure so check out their website at www.michaeltoddusa.com.